LEEDS: With just nine weeks to go until Britain is due to leave the European Union, a company is selling worried Britons a survival kit to help them prepare for the worst. 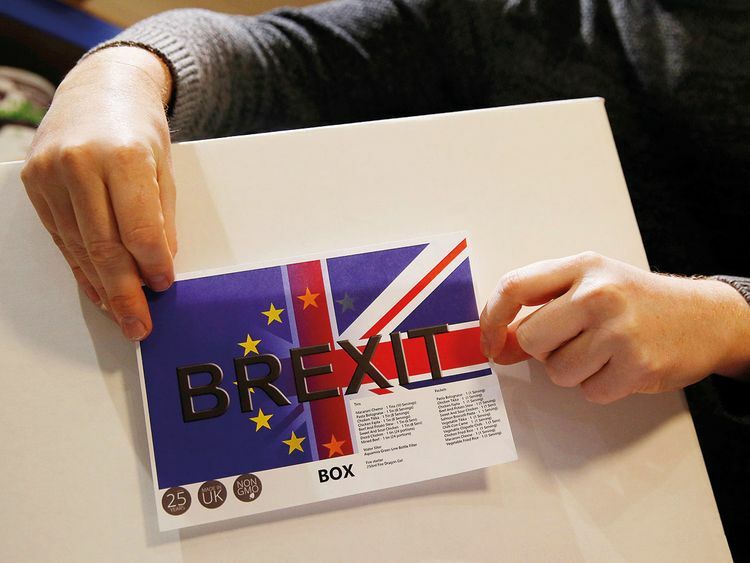 The “Brexit Box”, retailing at 295 pounds ($380; Dh1,395), provides food rations to last 30 days, according to its producer, businessman James Blake who says he has already sold hundreds of them. The Brexit Box’s long shelf life — the canned food will last up to 25 years — is appealing.